Wow Debra-these are fantastic--when I saw the little icon on bloglovin, at first glance i thought it was a photo!! These are the most real plums I ever saw in my life. Just wonderful. I want one! Mmmm--these look delicious! I love the rich plum colors! Beautiful - color and composition! Ahh!! 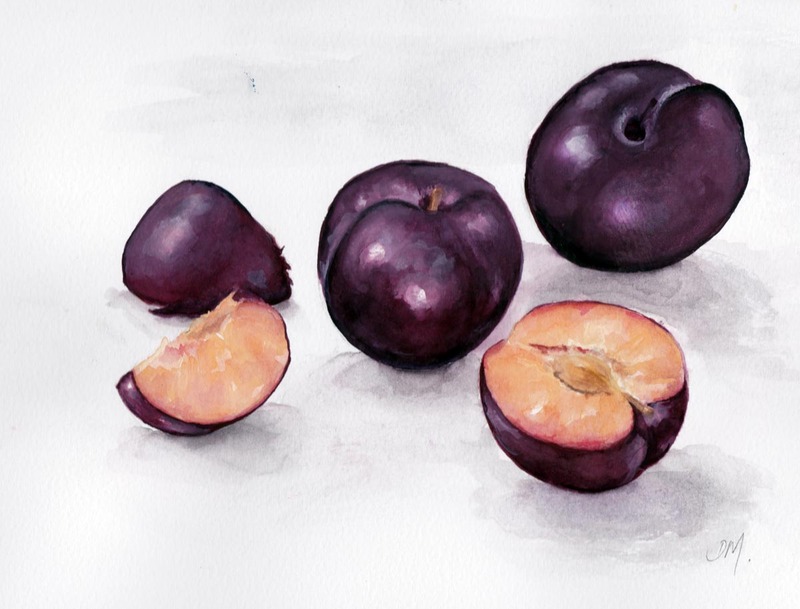 There is something about the texture of these plums - I love this!!!! Wow!